Inspired by European Country Villas and backing to hundreds of acres of Open Space and trails, the possibilities are endless! 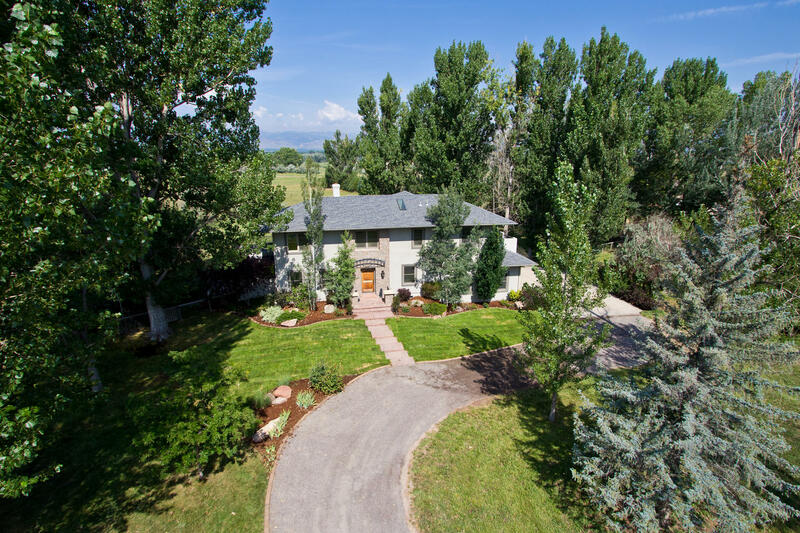 Acreage includes horse pasture, and a convenient irrigation well, storybook Gazebo for enjoying a quiet afternoon’s tea. 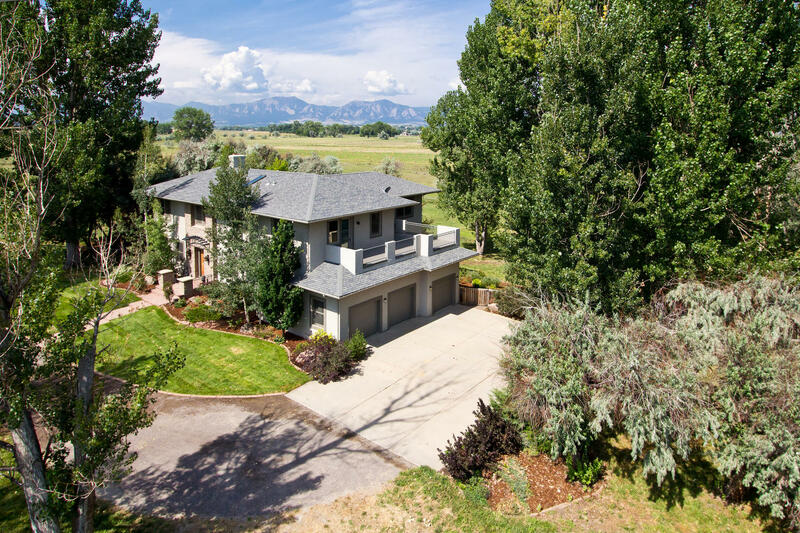 Gaze out for miles across captivating Flatiron and Front Range Mountain Views! Hundreds of trees fill this unique setting, one’s own orchard with endless apple trees, and large pines, ideal setting for a gardener’s dream, organic farming, or keeping your horses nearby! Outdoor living at its finest with nearly 1,600 square feet of deck and patio areas to celebrate on and every bedroom has its own access to the deck overlooking the views! Walk-out Basement with 3 beautifully finished levels at 5,037 total square feet and 4,980 finished square feet, completely renovated in 2001. The spacious rooms are quite flexible with the potential for an study or office area on each floor, sunroom and/or sitting room and one of the secondary bedrooms could easily flex as another Master Suite. The main Master Retreat specifically designed as its own private oasis featuring a large Steam Shower with tinted glass, Gas fireplace, huge walk-in closet and custom shelving and organizers. Approx. 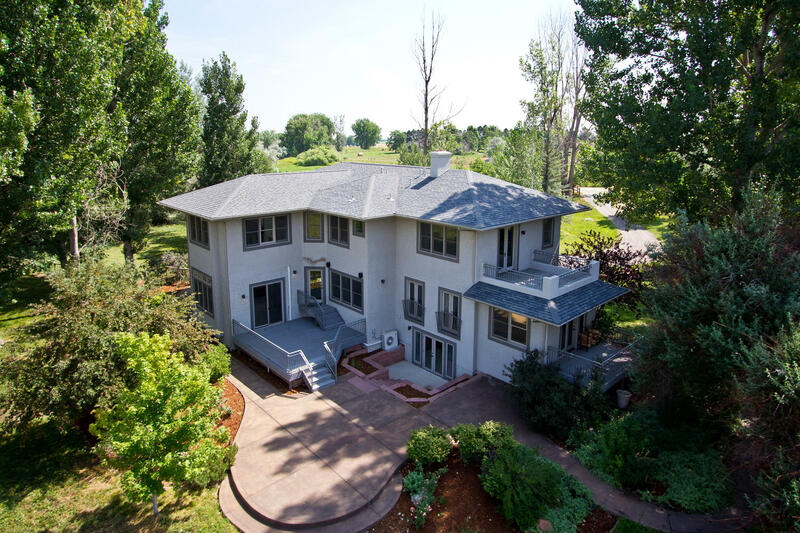 5.24 peaceful acres w/ horse pasture, just minutes from downtown Boulder. Water well for irrigation, endless possibilities. Four Bedrooms on the upper level with one non-conforming, but at 17ft X 13ft. one could easily add a closet or spacious armoire. Five total bathrooms, three fireplaces ~ one wood burning and two gas. Enjoy one’s organic gardening delights in this spacious Chef's kitchen, Hardwood flooring and beautiful tile work throughout, slab granite countertops, the main floor Chef’s kitchen flows open with raised panel cherry cabinetry with dove-tail joints and roll-out shelving, large gas cooktop and wall oven setup, built-in refrigerator, huge walk-in pantry. The sunken living room is the perfect getaway for a quiet book by the fire. Interior surround sound throughout, all new carpet in the lower level, light skip trowel wall texture. Oversized 3 car garage at 767 square feet with workshop cabinetry. Concrete Edging, gorgeous established landscaping with irrigation, landscaping lighting. All appliances included. Wooded, serene storybook setting. Septic system is currently sized for 3 Bedrooms, Seller to credit Buyer for a 4 Bedroom system upon closing. Custom layout, Bedroom 4th upstairs non conforming, all bedrooms including #4 have access to the decks and views! Pasture land and acreage ideal for organic gardening/farming. HOA is $150 annually.